Partner Programs are designed to support the unique business models of APN members by providing them with increased prominence and additional support from AWS partner teams. In addition, partners can apply to attain APN Competencies based on their specialization in key AWS solution areas. In order to apply for Partner Programs, Partners must be in good standing with AWS and meet specific program criteria. Learn more about program benefits, requirements, and how to get started below. AWS Competencies are granted to APN Partners who have demonstrated technical proficiency and proven customer success in specialized solution areas. Attaining an AWS Competency allows APN members to differentiate themselves to customers by showcasing expertise in a particular solution area. The AWS MSP Partner Program is designed for APN Consulting Partners who are skilled at cloud infrastructure and application migration, and deliver value to customers by offering proactive monitoring, automation, and management of their customer’s environment. The AWS Service Delivery program is a validation program that identifies and endorses APN Partners with customer experience and a deep understanding of specific AWS services. It provides those partners with exclusive access to resources to help them develop their capabilities and promotional activities to help them grow their existing business and connect with customers. 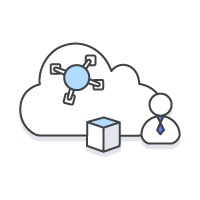 The AWS Solution Provider Program is designed for systems integrators, managed service providers, value-added resellers, and public sector partners to resell AWS Services to end customers as part of their differentiated solution. Under this program, Authorized Solution Providers manage, service, support, and bill Amazon Web Services (AWS) accounts for end customers. AWS Navigate provides a prescriptive path for AWS Partner Network (APN) Partners to build a specialized practice on AWS. It offers APN Partners with the guidance to become AWS experts and deploy innovative solutions on behalf of AWS customers. 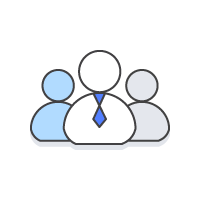 The AWS Well-Architected Partner Program trains and enables AWS Partner Network (APN) Partners on how to perform technical validations of customer solutions using the AWS Well-Architected Framework. 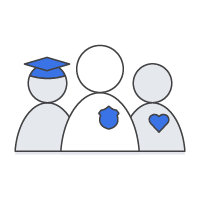 The AWS Training Partner Program allows customers to easily identify APN Partners that provide training which will enhance their knowledge of AWS. The Public Sector Partner Program enables partners to accelerate their business growth on AWS through alignment with our public sector sales, marketing, partner, and bd teams. The program targets Standard and higher tier APN Consulting and Technology partners with a strong emphasis in public sector, including government, education, and non-profit. The AWS Public Sector Partner Transformation Program: 110 Days to Transformation is designed to help partners accelerate their AWS cloud adoption journey across their business. The program includes a managed assessment of the partner’s organizational cloud readiness and provides a customized action plan to address gaps and outline the changes required to transform the partner’s cloud business, boosting their AWS business potential. 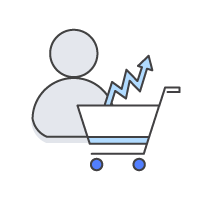 AWS Marketplace Channel programs and features allow Consulting Partners to resell software solutions the way customers want to buy and supports ISVs who have a channel-based business model. 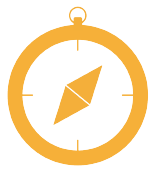 The AWS Navigate Program provides APN Partners with a prescriptive path for building an AWS specialty based on industry, services, solutions, and workloads. 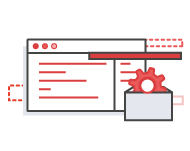 The AWS Navigate Program includes customized e-learning, tools and resources for business and technical tracks, and “Apply Your Knowledge” checkpoints. AWS Database Ready enables software vendors to modernize their software to support Amazon Aurora and RDS database engines. This allows customers to accelerate their cloud migration with applications that natively support Amazon Aurora and RDS. Customers are asking for applications that take advantage of Amazon Aurora’s performance and availability of high-end commercial databases with the simplicity and cost-effectiveness of open source databases. 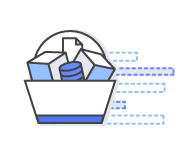 AWS Database Ready helps customers identify software products that natively support AWS database services. The AWS Device Qualification Program (DQP) is a hardware validation and benefits program for all AWS Partner Network (APN) Partners. Through this program, APN Partners can submit their hardware for technical validation for Amazon FreeRTOS, AWS IoT Greengrass, AWS IoT Core, and Amazon Kinesis Video Stream. The AWS SaaS Partner Program provides APN Partners with support as they build, launch, and grow SaaS solutions on AWS. APN Technology Partners who develop SaaS solutions and utilize a SaaS-based software licensing and delivery model are encouraged to apply for the Program. The AWS Marketplace enables qualified partners to market and sell their software to AWS Customers. AWS Marketplace is an online software store that helps customers find, buy, and immediately start using the software and services that run on AWS. 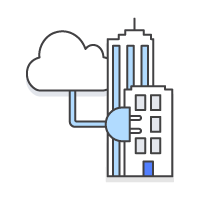 The AWS Direct Connect Program supports AWS Customers establish network connectivity between AWS Direct Connect locations and their datacenter, office, or colocation environment. Direct Connect Partners improve customer experience by providing flexibility and choices on how to connect with AWS.